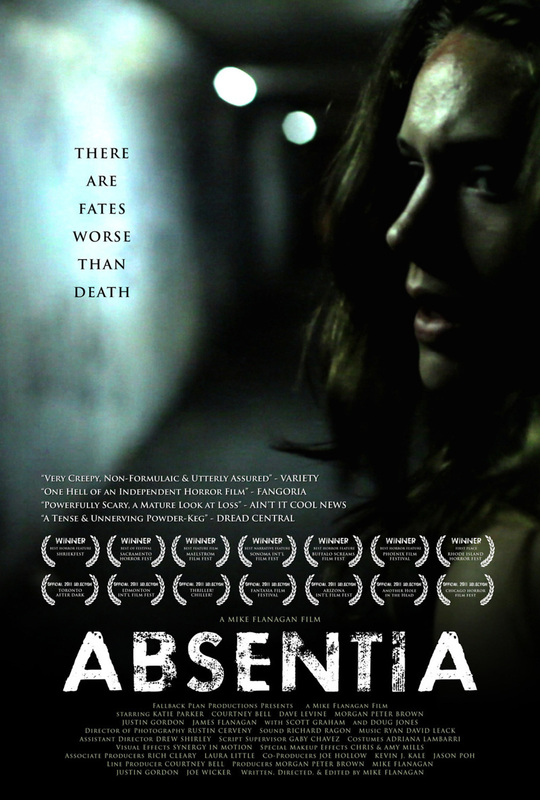 Absentia DVD release date was set for March 13, 2012. Callie, who has struggled with drug addiction, goes to stay with her pregnant sister Tricia as the time approaches for Tricia to declare her husband Daniel dead seven years after his disappearance. However, while out running, Callie has a strange encounter in the tunnel near Tricia's house, and she begins to believe it is somehow connected to Daniel's disappearance. Callie does some research and discovers that the neighborhood is known for pets disappearing and that a number of humans have been reported missing in the area throughout its history. Suddenly, Daniel returns badly abused and unable to tell them where he has been. When Callie reports being menaced by a strange creature, Tricia thinks she is using drugs again, but the truth is more sinister.